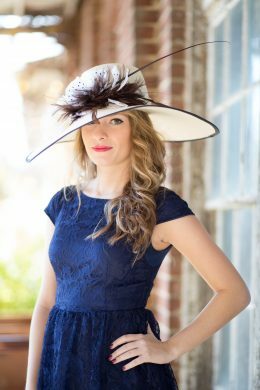 Eclipse is just that….an eclipse of timeless fashion and movement! 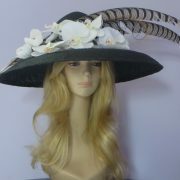 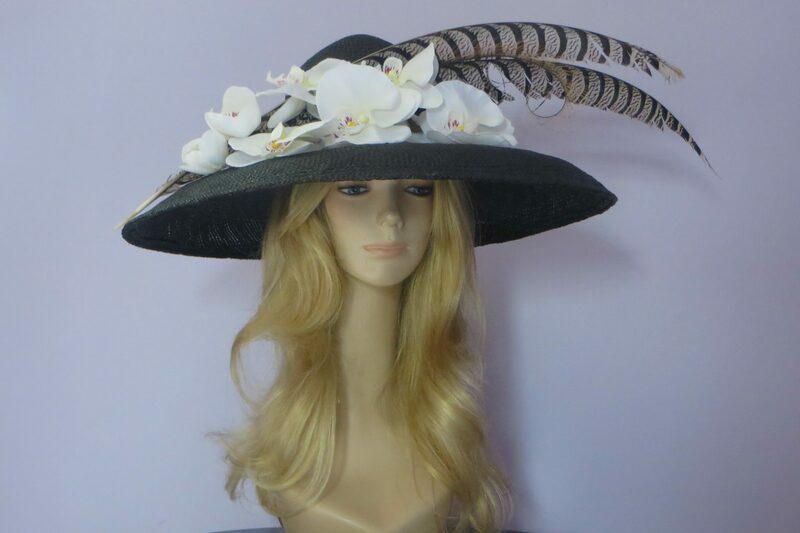 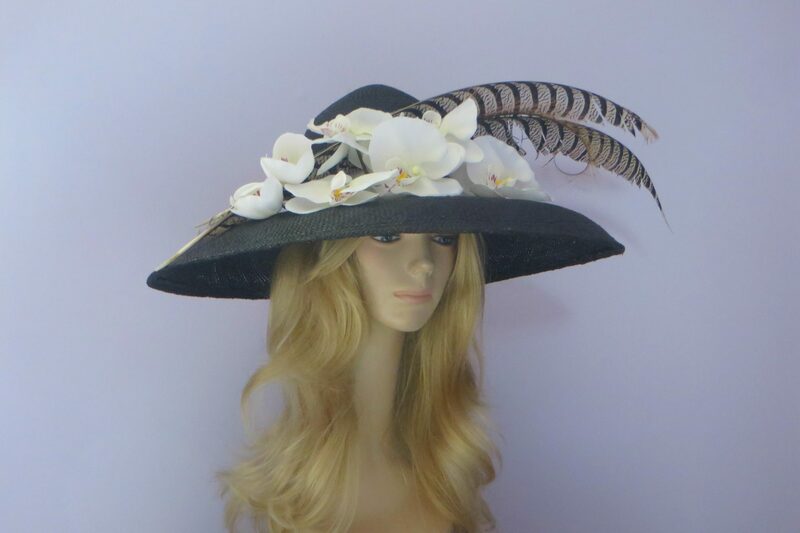 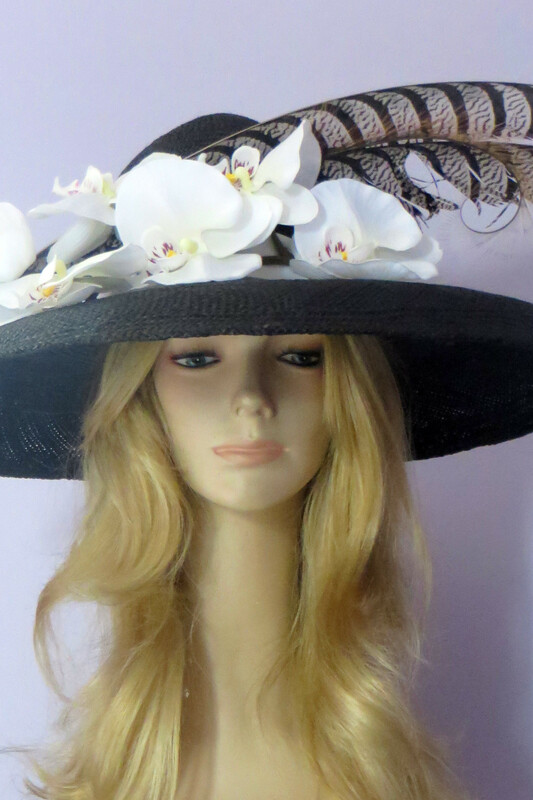 My hand made classic Audrey black hat has a 7 inch curved brim that is accented with white orchids and two oversize pheasant feathers. 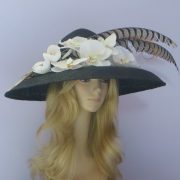 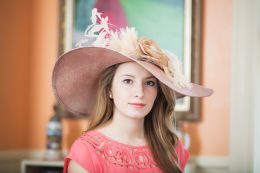 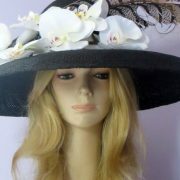 Eclipse can be worn with most everything in your closet It’s a perfect neutral hat with a huge dose of classic style. 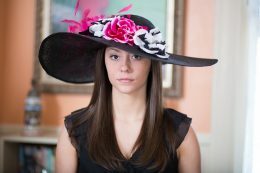 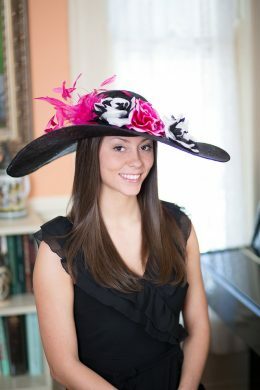 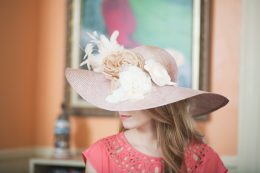 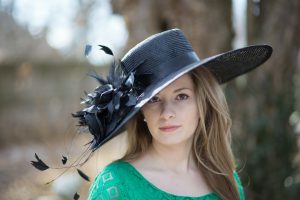 Perfect for the Kentucky Derby or any event where you want to turn heads.